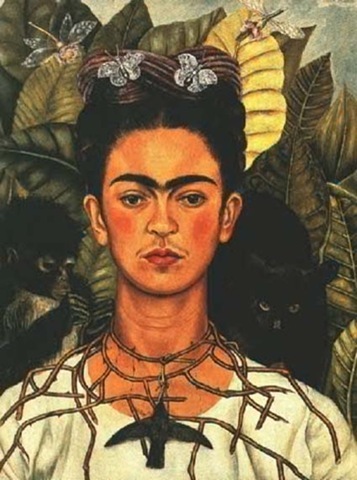 Following my post about the minimal portraiture style of the contemporary artist Julian Opie, I thought I'd thought I'd contrast his work with the self-portraits of the Mexican artist Frida Kahlo (1907-1954). 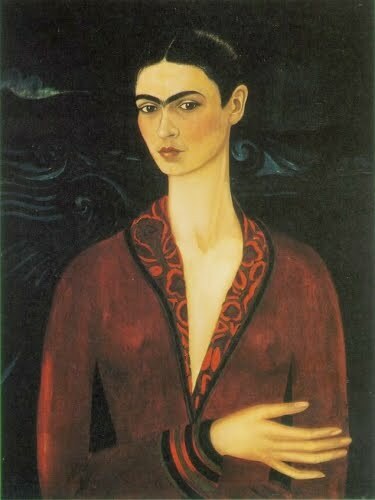 She was born and raised near Mexico City and married the famous painter and muralist Diego Rivera. Frida was the third daughter of a Hungarian-Jewish father and a Spanish-Mexican mother. She grew up in the midst of the Mexican Revolution, and throughout her life she would face many struggles. At the age of 6, she contracted Polio. Some also speculate she also had spina bifida. 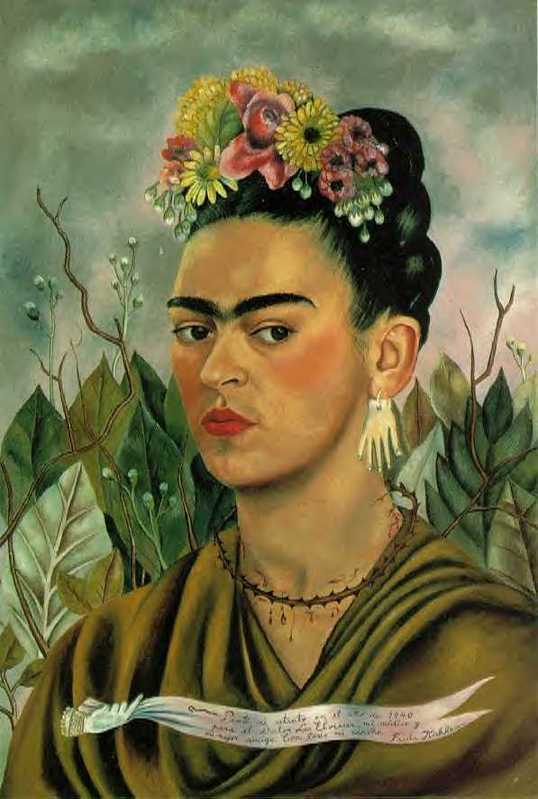 Her original passion was not to be a painter, but to work in medicine. Unfortunately, at the age of 18, she was in a bus accident where she suffered from severe injuries including a broken spinal chord, collarbone, ribs, pelvis, and fractures in her right leg. As a result of this accident, her uterus was also damaged, and she would lose the ability to reproduce. She was not able to accept this until many later years later, and eventually was able to conceive only to miscarry. Although she would eventually heal form the accident, its memory caused her much trauma and she would often have painful relapses. 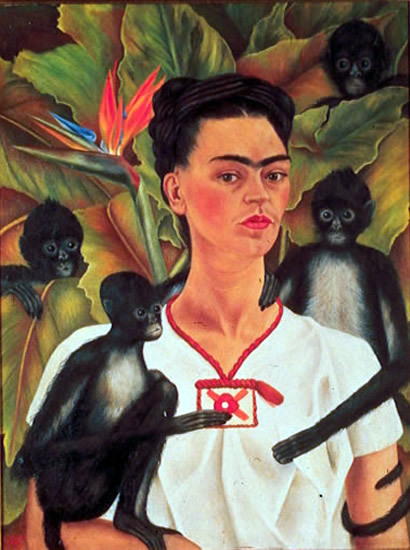 From this accident, though, Frida began her painting career. 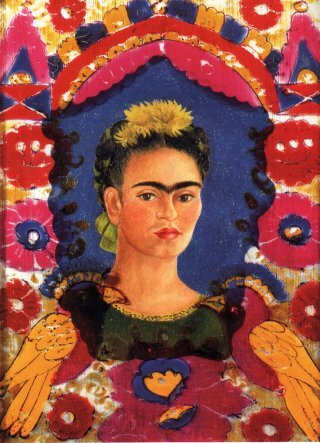 Confined to a hospital bed, wearing casts that limited her mobility, Frida began painting to pass the time and to deal with her suffering. 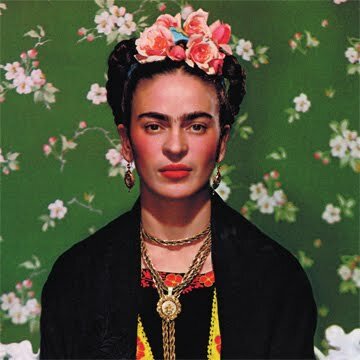 Her paintings were heavily influenced by traditional Mexican art and consisted of 2-D images in vibrant and bold colors. 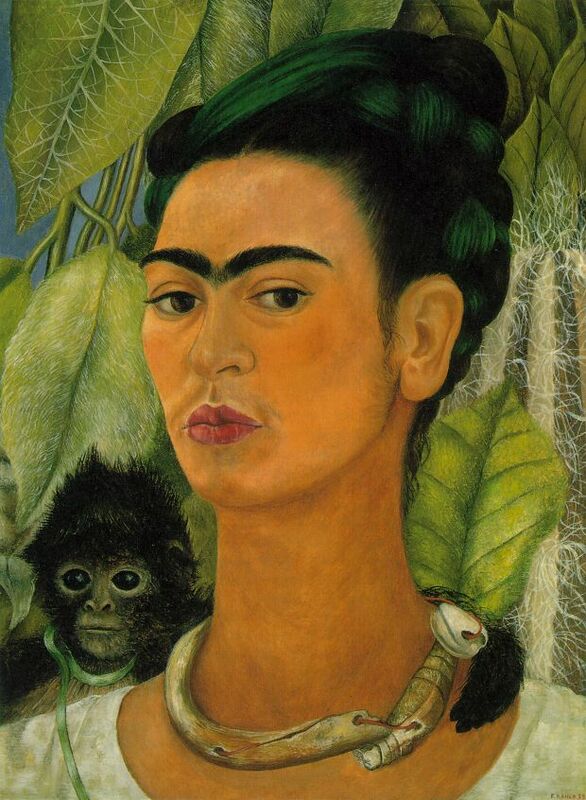 She painted 155 paintings, with about a third of them being dedicated to self-portraits. 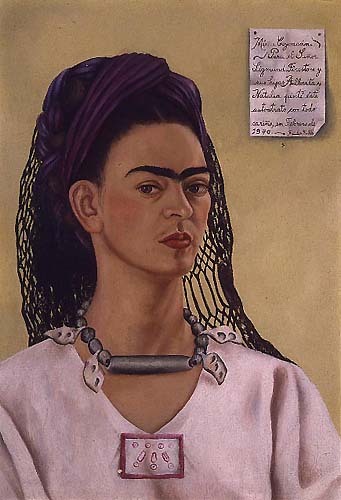 Her pain, miscarriage, and marital difficulties with Diego Rivera were often depicted. 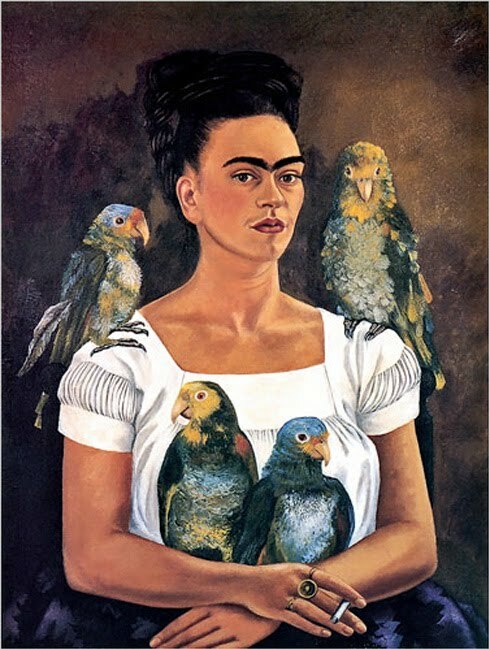 She travelled to America in her later life with Diego, and held art exhibitions in New York. She gained some popularity in the 1940’s, but it was not until a revival of the feminist movements in the 1980’s did she gain more fame, many years after her death. She suffered from cancer, and died at the age of 47.